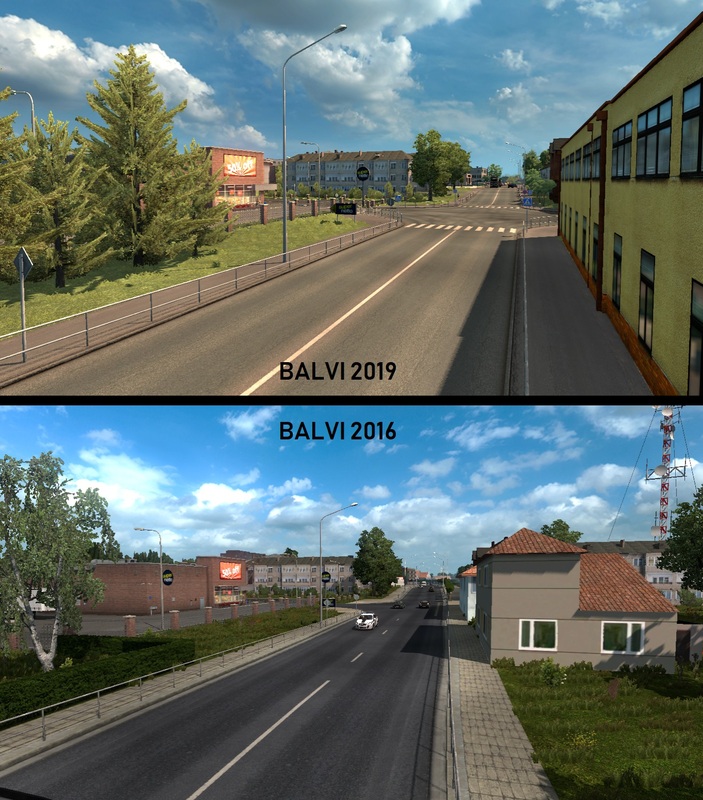 As DLC Baltic has released, we have started to relook our old areas. Of course, some parts will not returns back, some parts will saved, and some our parts will completelly reconstructed from scratch, but it is the question of time. 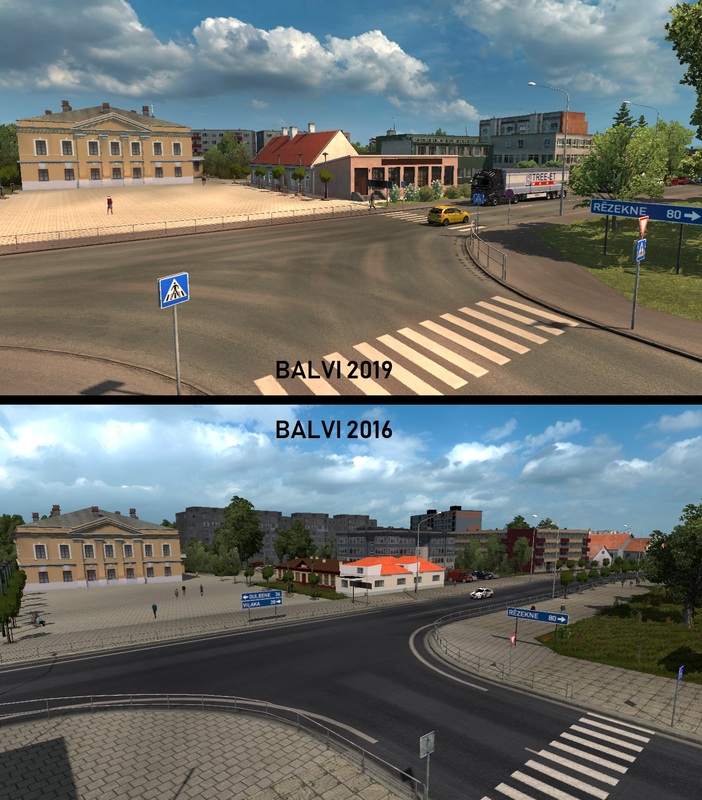 SCS did great job on Baltic states, so our Baltics will replaced with SCS' Baltics. 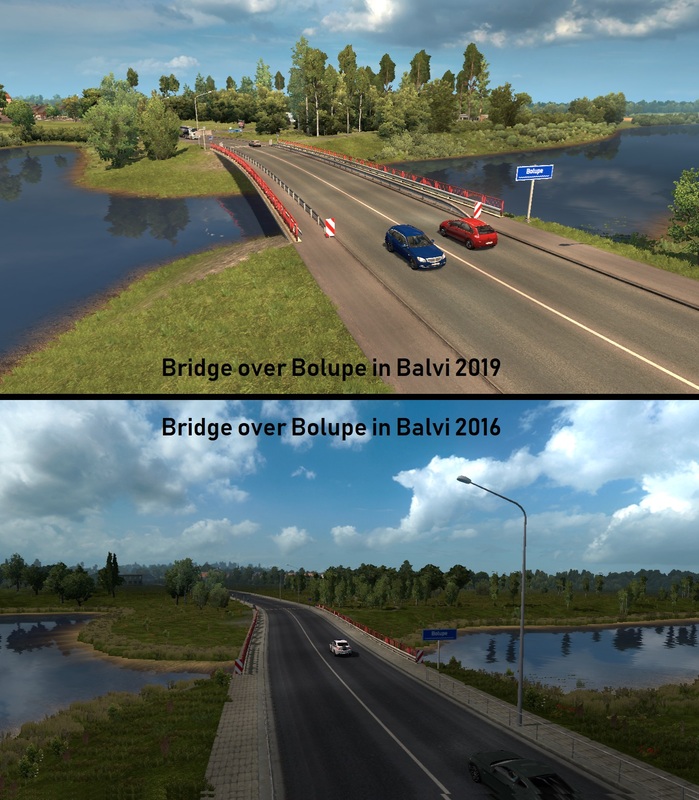 Possible, some more developers will join us to assist in Baltics merging project. 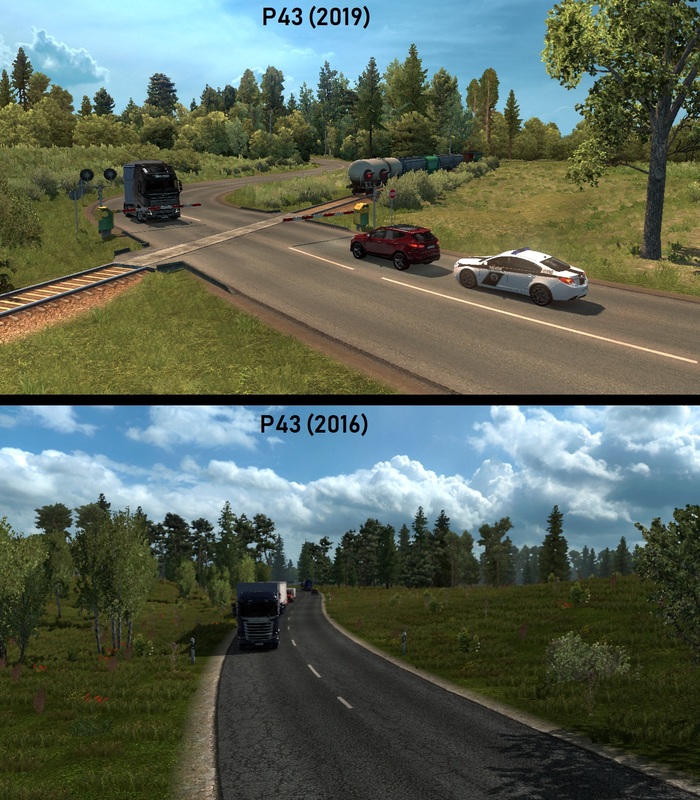 Of course, any of you will asks: Which ProMods Baltic areas will saved or restored after so-called "DLC-calipsy"? Well, for now we still don't have proper plan, as this are subjected to change in any time. 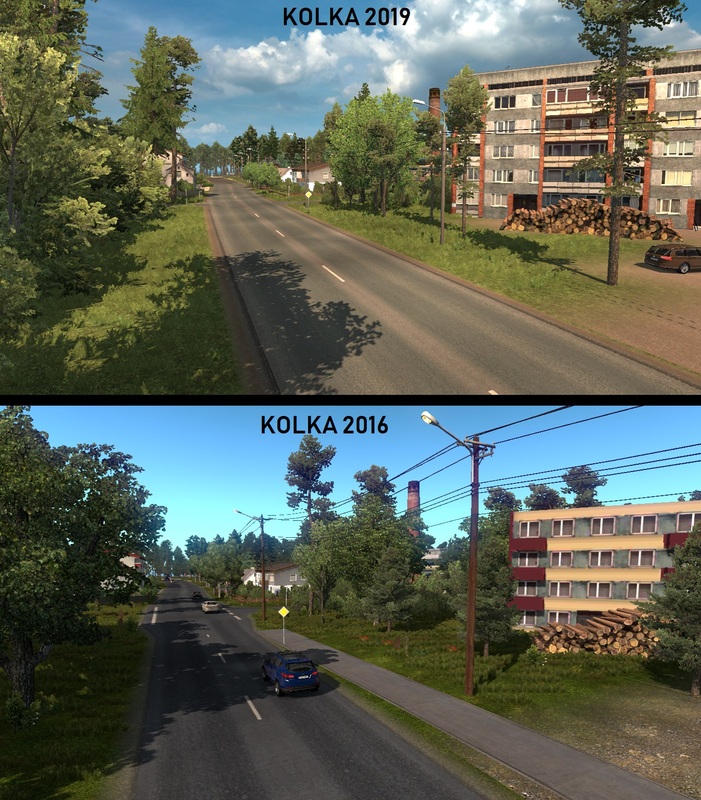 In the meanwhile, I already restored Kolka and Balvi successfully into new Baltics map. 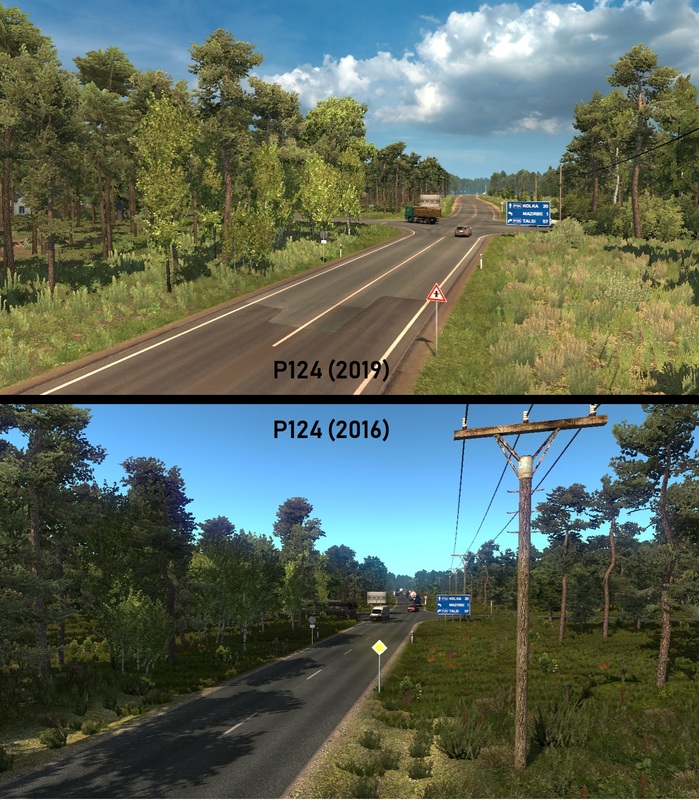 Horizon is now working on restoring Ukmerge, later he will announce his work as well. 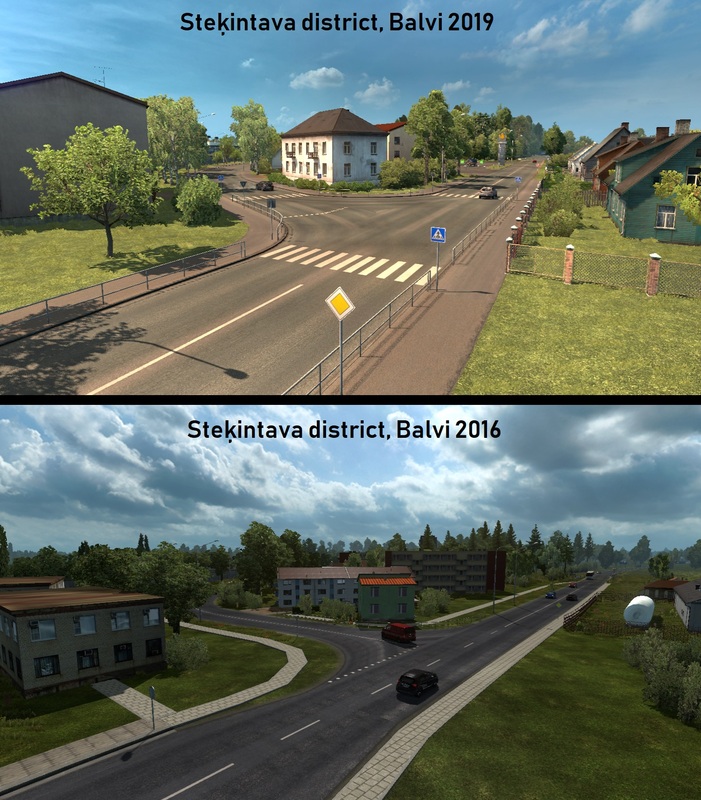 Below are first results of merging Balvi area and Kolka. Enjoy! Last edited by Vladzz-G on 31 Dec 2018 12:09, edited 6 times in total. Very good to hear that this project is doing well. Good luck for this merge! 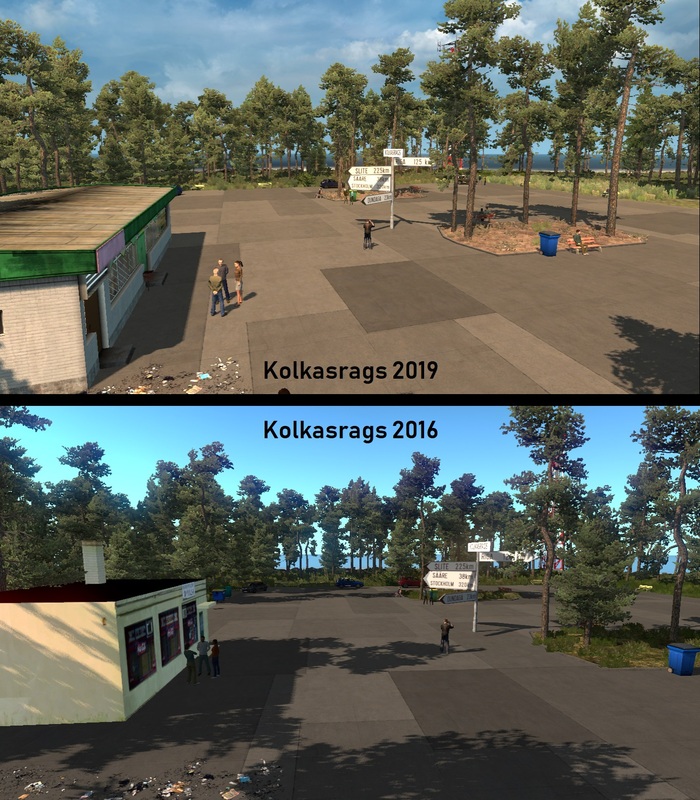 I don't really see quality difference between 2016. and 2019. (I want to say that 2016. version already has great quality!!!). 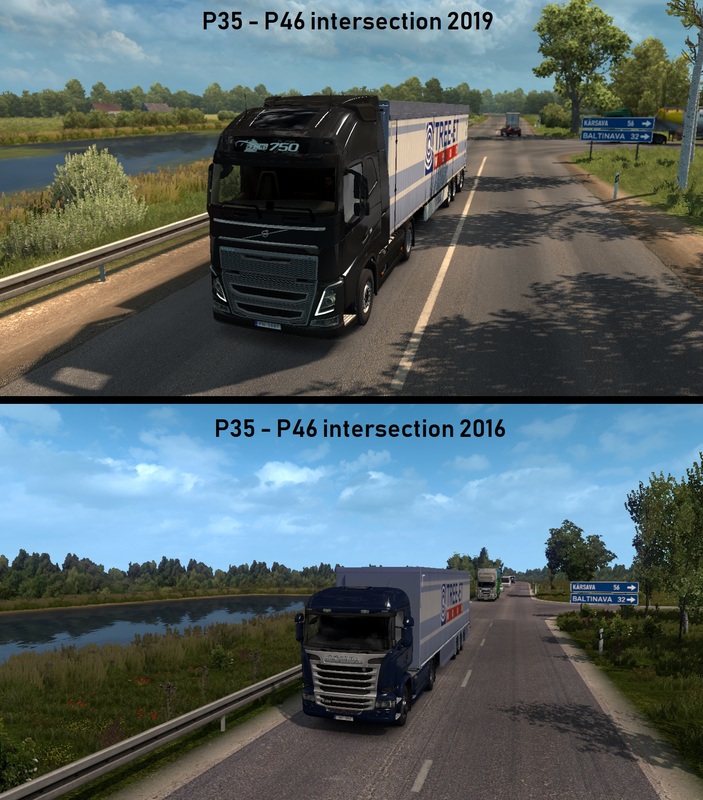 I am glad because of fast merging, unlike Promods France, which is most likely lost forever. 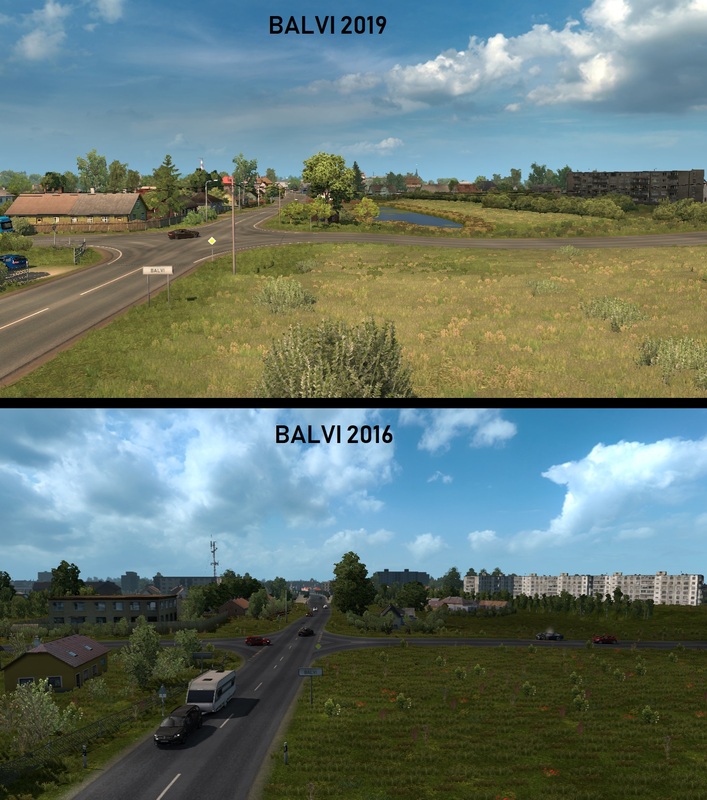 Baltic is one of my favorite region in Promods. 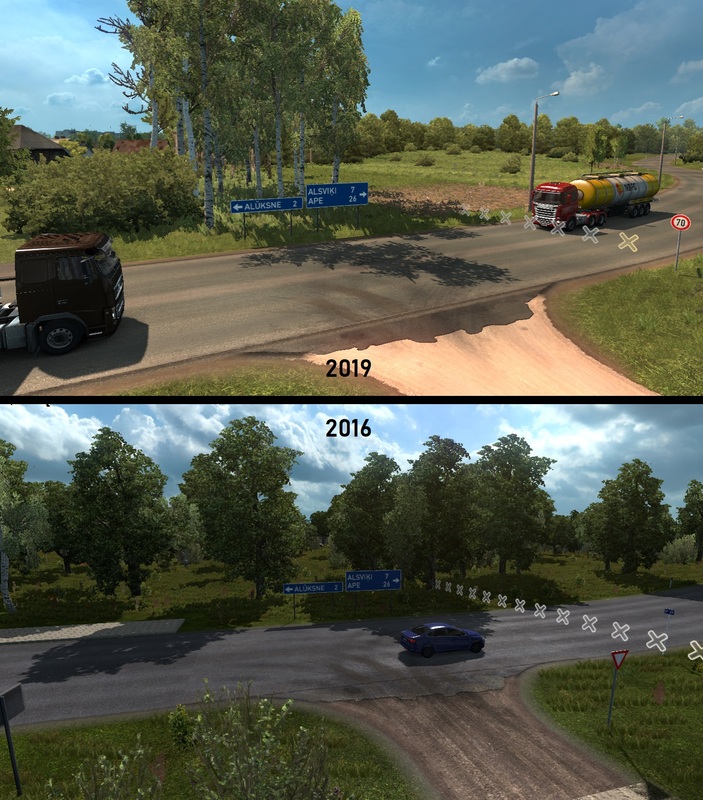 In scs version there is a big minus - unrealistic road signs. 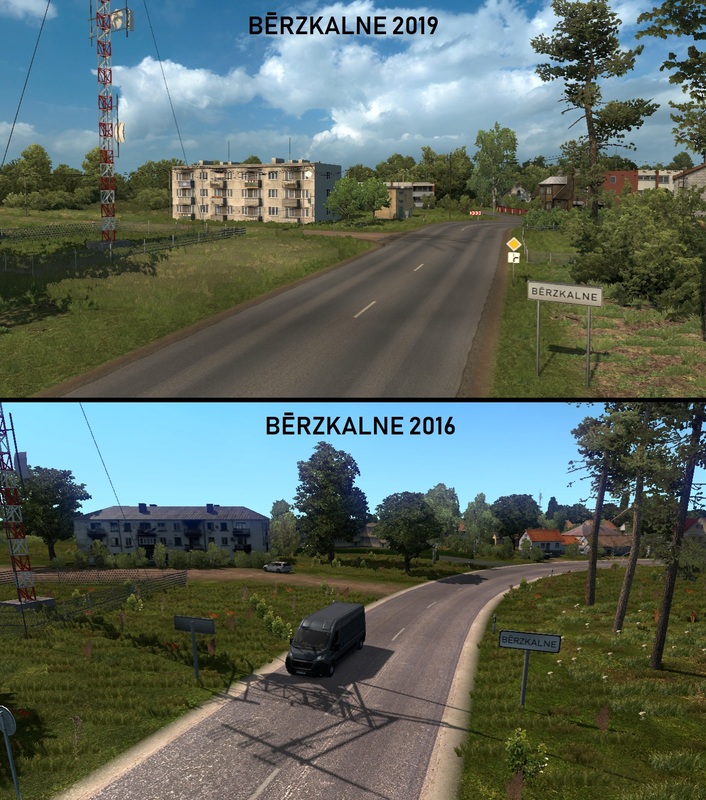 Please make all road signs with kilometers, like In real life, like in 2016 version. 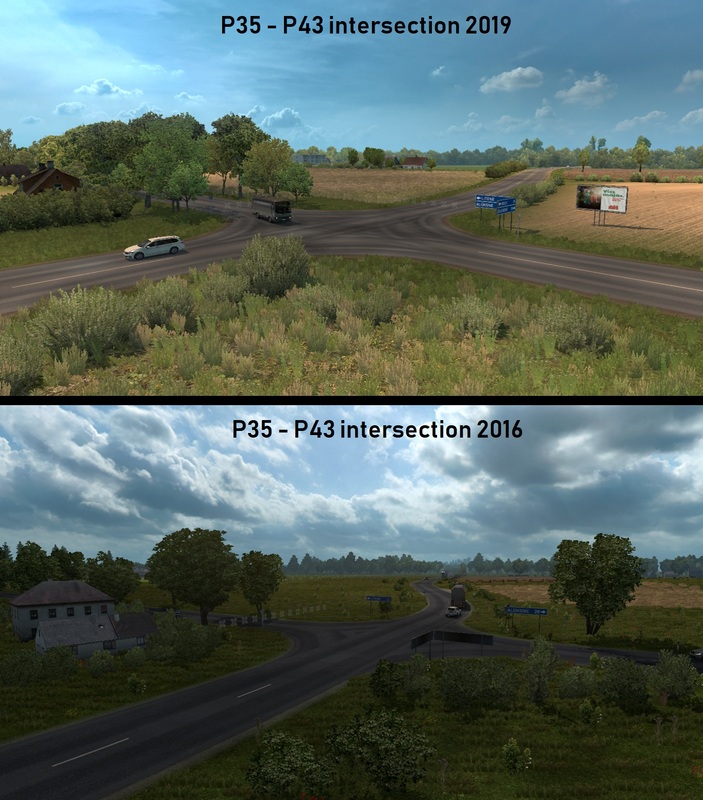 EDIT: Also I want to know about Kaliningrad region plans, because i like it much more in Promods than SCS . 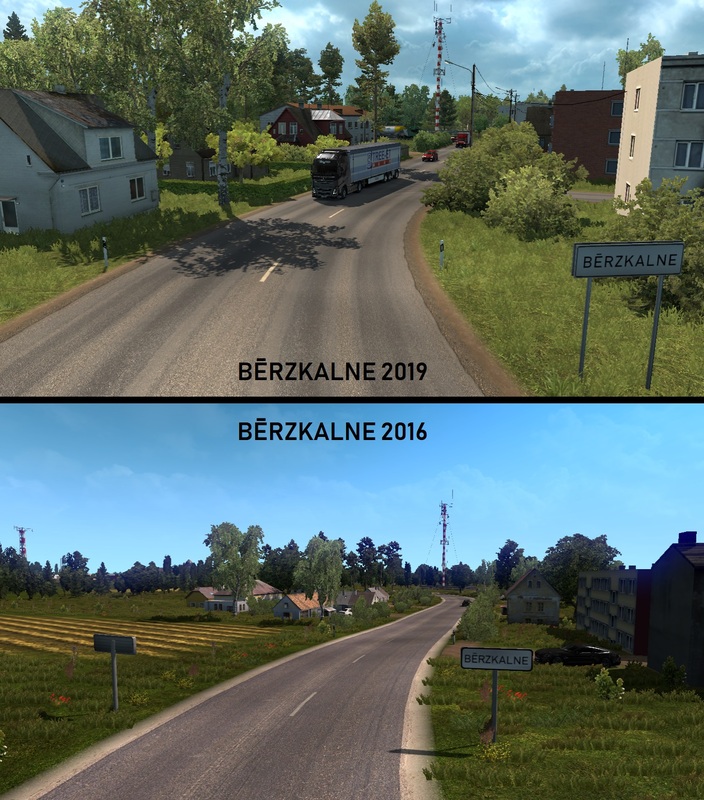 Some pics are really not quality difference between 2016 and 2019. Please make some plan and show it us for areas that will be restored, saved or deleted. Last edited by tkk7406 on 26 Dec 2018 18:28, edited 2 times in total. Entire SCS' Baltic area (including Russia and Finland) will integrated in map. 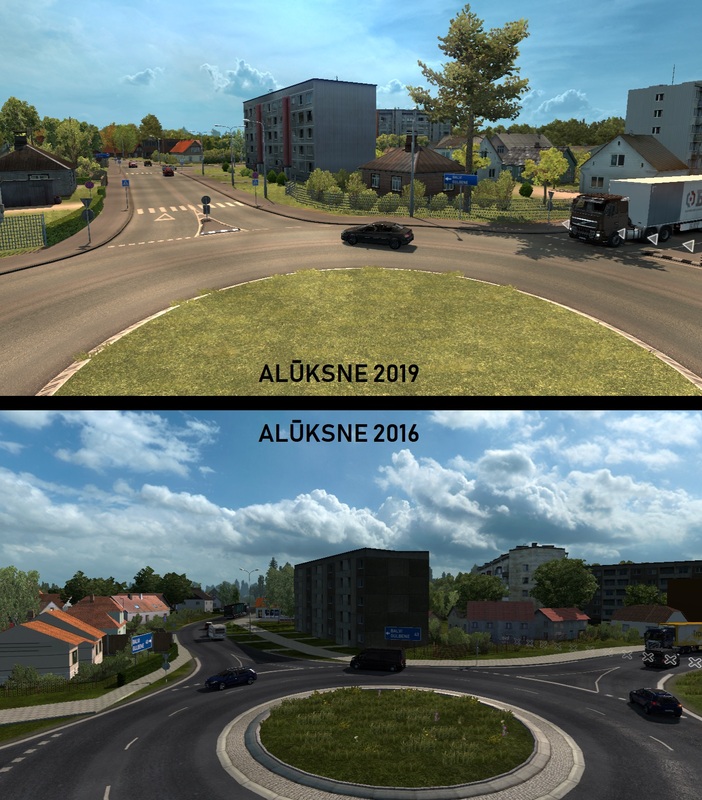 Speaking of road sign templates, our ProMods Estonian road templates are more unrealistic, due of it's huge size and incorrect colour tone, and in our Estonia these will replaced by SCS' road sign templates. (works in Estonia are not started yet). Latvian: 50/50 - Some our sign templates are still good and suitable, some have incorrect sizes (again: too huge!) and will deleted/replaced by SCS' sign templates. We will not announce Baltic merge plan, as plans always subjected to change in any moment. I'm looking forward to the further progress.